If you have paid any attention to jazz over the past 6 decades, you'll know the Heath Brothers, Jimmy, Percy, and Albert. Saxophonist composer Jimmy (born 1926) developed into one of the most consistent writers and performers, bassist Percy (1923-2005) is, perhaps, best-known for his long association with the Modern Jazz Quartet, and drummer Albert or "Tootie" (born 1935) has worked with so many great musicians including John Coltrane, Yusef Lateef, Dexter Gordon, and Herbie Hancock. In the mid-1970s, the Brothers joined forces and created their own ensemble which continues to this day. In 2009, Tootie played a gig with pianist Ethan Iverson and bassist Ben Street at Smalls Jazz Club in New York City. They played material that, like the musicians, crossed a number of decades and styles. The 3 had so much fun (if you have ever seen Tootie Heath in a live setting, you know that fun is a major component of his performance) that they became a Trio. In 2013, they recorded "Tootie's Tempo" for Sunnyside Records and, on March 3, the label releases "Philadelphia Beat." Recorded in the drummer's home, it's the group's most eclectic outing with material that moves from Milt Jackson to Gloria Gaynor to Cal Massey to Dizzy Gillespie to Eubie Blake to Johann Sebastian Bach (!) From the finger cymbal opening of "Bag's Groove" to the funky back-beat of "I Will Survive" to the African rhythms of Massey's "Bakai", this program entertains and enlightens. There is no sense of bombast but an emphasis on melody and rhythm and, yes, "swing." The CD is full of little touches that create a wondrous aural landscape. Mr. Heath opens Lewis's "Concorde" with the drum pattern Shelly Manne created for Sonny Rollins' "I'm An Old Cowhand" while his sparse accompaniment on "Memories of You" (what a touch with brushes!) gives Iverson plenty of space to investigate the melody. There's a delicate mix of Latin and Middle-Eastern rhythms that open "Con Alma" and push it forward. Thelonious Monk's "Bye-Ya" sparkles and jumps while Kurt Weill's "Speak Low" is playful and has just a touch of New Orleans Second Line in the drummer's attack. Bach's cantata "Wachet Auf, Ruft Uns Dis Stimme, BMV 140" is stately, with a touch of swing and splendid counterpoint from Street. Lateef's "Pentatonic Etude" features Iverson on electric piano; he and Mr. Heath create a spare painting yet rich in colors (the floor tom and cymbal work stands out) and do so without wasting a note. 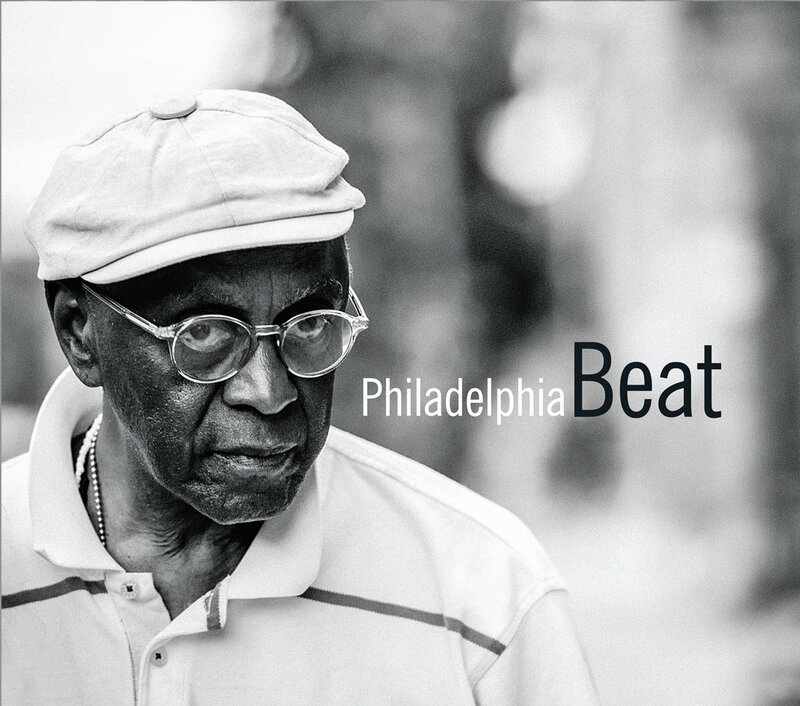 "Philadelphia Beat" pays tribute to the plethora of sounds and the great artists associated with the City of Brotherly Love. It's a joy to listen to how these 3 musicians interact, react and inhabit the material, how nothing is off-limits or overdone. There are many moments that produce smiles or nods - this music is alive and very satisfying. For more information about the Trio as well as a link to a fine interview, go to dothemath.typepad.com/dtm/tooties-tempo.html. Nick Sanders hails from New Orleans, a fertile ground for pianists. While attending the New England Conservatory of Music in Boston, MA, as a grad student, Sanders met freshmen Connor Baker (drums) and Henry Fraser (bass), beginning an association that now has lasted 5 years. The Trio's 2013 debut, "Nameless Neighbors" (Sunnyside), not only displayed Sanders' maturity as a composer but also the intimacy of an ensemble. Produced by Fred Hersch, the recording showed musicians with great promise. "You Are A Creature" (Sunnyside) builds on that promise. In the 2 years since the debut CD, the Trio has developed an even closer bond and Sanders' writing has matured considerably. There's a healthy streak of Thelonious Monk in his approach to melody and rhythm yet, like that great master, the music opens to include elements of the history of piano, from stride to blues to swing and beyond. And. as on the debut disc, the rhythm section is so attuned to the movement of the music, to the pianist's playful asides or rollicking single-note runs, that there are multiple instances where the listener can believe these 3 breathe as one. "You Are A Creature" is no monster but the musical interactions do, in some ways, reflect the contortionist in Leah Saulnier's cover painting. 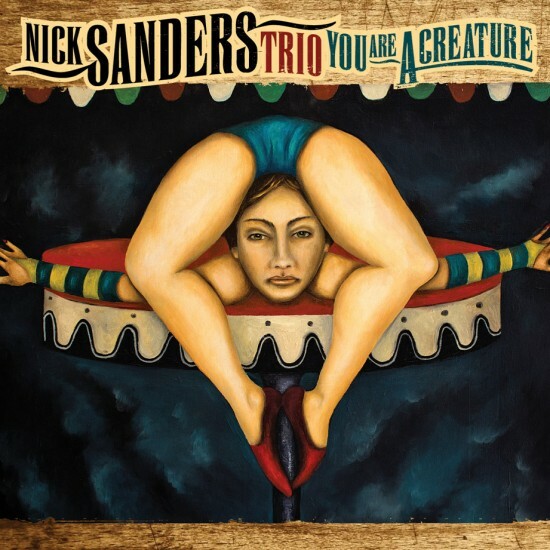 Playful, adventurous, original, the music of the Nick Sanders Trio illustrates the continuing evolution of American music and the endless possibilities of the piano trio. One really would love to hear and see this Trio in a club setting. Kudos as well to engineer James Farber, who brilliantly captures the sounds of each musician, especially the impressive drumming of Connor Baker. For more information, go to nicksandersmusic.com. Pianist/composer Jeremy Siskind has a most interesting variation on the piano trio; instead of the "traditional" rhythm section, he creates music for voice (Nancy Harms) and reeds (Lucas Pino). Their 2012 collaboration "Finger-Songwriter" (BJU Records) not only displayed Siskind's love for poetry (he earned a Master's Degree from Columbia University in English and Comparative Literature) but the influence of Norma Winstone and John Taylor on his original music and the ensemble's presentation. After the release of the CD, Siskind and company started touring the US, specifically performing "house concerts" - that makes great sense as this music is often so intimate that the hush of a small room increases the emotional richness. "Housewarming" (BJU) builds off the previous CD with a program of 9 originals and 4 "standards." Also added to this mix are guest vocalists Kendra Shank, Peter Eldridge and Kurt Elling, all of whom bring unique voices to the project. There are numerous transcendent moments. On the opening "Whispering Grass" (composed by Fred Fisher and his daughter Doris, made popular by The Inkspots in 1940), Pino's bass clarinet sees as the rhythm section, his low notes bolstering the bottom an his breathy sound acting like brushes on a snare drums. (there are moments when the music is reminiscent of the mid-to-late 1950s work of Jimmy Giuffre.) The interaction of Ms. Harms and Mr Eldridge on Siskind's "New Old West Theme" over the rich piano melody stands out as well, the blend accentuating the love story in the lyrics. The lovely title track features Mr. Eldridge telling a love story with a bittersweet feel; the melody and arrangement may remind some of Randy Newman, the wonderful spare chords and lonely high notes, the poignant yet hopeful vocal. The influence of Billy Joel insinuates itself into the melody of Siskind's "Hymn of Thanks" and the stride feel of the piano beneath the tenor solo is a sweet change of direction. Mr. Elling has always shown his ability to make poetry into music and his 2 contributions here are exemplary. The impressionistic "Light" pairs his voice with Pino's tenor sax and a flowing melody line; the saxophonist builds on the melody, creating a solo that stands out. "Arise" is a prayer for peace with the melodic counterpoint of piano lovingly interwoven with Mr. Elling's compelling vocal. "Everything You Need" is a fascinating reworking of British songwriter Adem Ilhans tune from 2004. The juxtaposition of Ms. Harm's hushed vocal, the rich piano accompaniment and the clarinet draws one in and speaks to the arranger's ability to imbue the song with several emotional climates. Siskin takes 2 very well-known standards and makes them sound fresh. One easily recognizes the melody "Moonlight in Vermont" yet the arrangement adds several quiet dramatic flourishes plus the evocative clarinet backing and solo. The program closes with Lerner & Loewe's "I Could Have Danced All Night"; the wonder and innocence in Ms. Harm's voice leads to a more assured yet impressionistic tenor solo that brings the album to a standstill, almost in mid-phrase. It leaves the listener with the sense that there is more, making one go back to start again. "Housewarming" is an album to savor, lyrics to sit and ponder, vocals that wash through your soul, and music that draws you in. Give it a number of listens to get the full breadth of the presentation, to begin to understand the hopeful message in the songs, to admire the work of everyone involved. You will be warmed by what Jeremy Siskind has presented here. For more information, go to www.jeremysiskind.com.